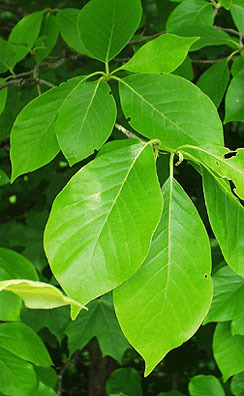 Leaf:Alternate, simple, pinnately veined, oblong to obovate in shape with an entire margin, 3 to 5 inches long, occasionally shallow lobes (or coarse teeth) near tip, dark green above and slightly paler below. 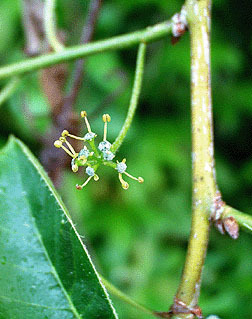 Flower:Species is usually dioecious; not showy, light green in color, in clusters hanging from slender stalks, appearing with the leaves. 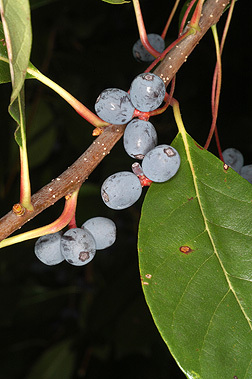 Fruit:A dark, purplish blue drupe, 1/2 inch long, with a fleshy coating surrounding a ribbed pit, ripen in late summer and fall. 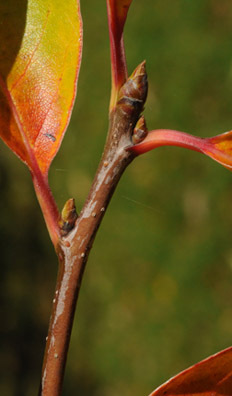 Twig:Moderately stout, red-brown to gray, diaphragmed pith; 1 to 2 inch curved spur shoots are often present; buds ovate, pointed, green and light brown, but darkening to brown in the winter. 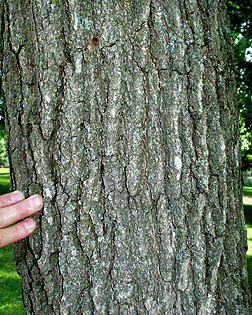 Bark:Gray-brown and shallowly, irregularly furrowed, on old stems it can become quite blocky, resembling alligator hide. 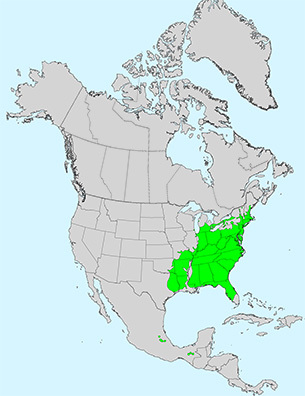 Form:A medium sized tree reaching up to 80 feet tall on moist sites, generally much shorter in the mountains. 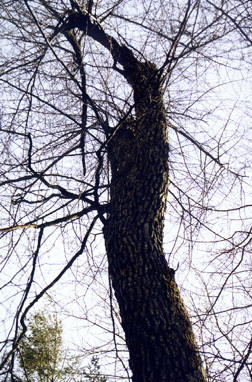 On younger trees the branches often stand at right angles to the trunk with numerous short, curled spur shoots present.